The Callaway Rogue Mini Staff cart bag features an 8.5” 6-way top for club organization. 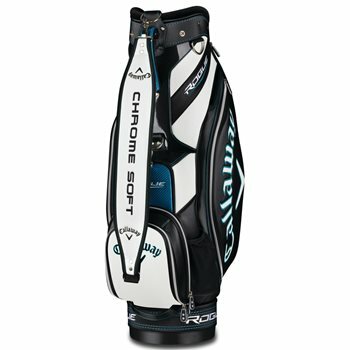 The bag is designed with Callaway tour branding, a fully integrated umbrella sleeve and a perfect balance base for stability. The Rogue Mini Staff cart bag is equipped with 9 pockets for carrying essentials and personal items. Featured pockets include a velour-lined valuables pocket, a magnetic closure rangefinder/GPS pocket, and a full-length apparel pocket.